Two men have been arrested connection with the death of a 17-year-old boy who was pushed into the path of a moving ambulette, police say. Angel Reyes-Godoy was arguing with someone at 194th Street and Bainbridge Avenue in Fordham Manor on Dec. 10 when a second person pushed him into the street, the NYPD said. 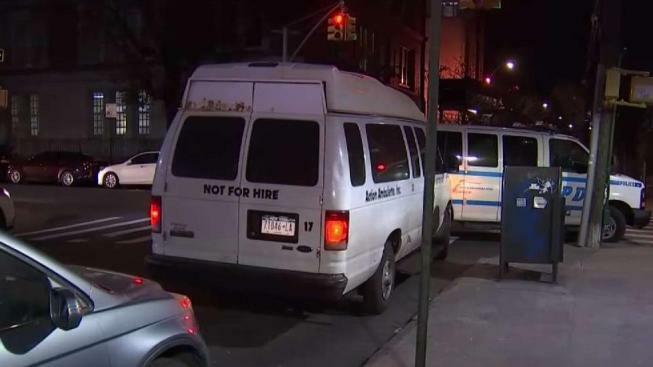 Police on Sunday said they’d arrested Obeb Adames, 18, and Mario Almonte, 20, both of the Bronx, in connection with Reyes-Godoy’s death. Almonte has been charged with murder, robbery and assault, the NYPD said. Adames, meanwhile, has been charged with assault and disorderly conduct. Police didn’t immediately provide additional details about the charges. Reyes-Godoy was taken to St. Barnabas Hospital in cardiac arrest from severe head trauma after the ambulette hit him. He was pronounced dead at the hospital. The ambulette driver remained at the scene and has not been charged. People in the neighborhood who knew Reyes-Godoy said he was "a good guy." Friends previously said he had no family in the country, and police were trying to reach loved ones in Mexico. Almonte and Adames' attorney information wasn't immediately available Sunday.